Benahavis is a mountain village 7 km from the coast. Renowned for its restaurants it is above all a picturesque place, where you can find incredible mountain and sea views. Puerto Banus is a marina in Marbella which was built as a luxury marina and shopping complex for the jet-set and the super-rich. It has berths for 915 boats, including those of the King of Saudi Arabia and several of the world's wealthiest individuals. Along the marina lie streets filled with bars, boutiques, restaurants and nightclubs - perfect for wining, dining, partying and people-watching! With 27 kilometres of coastline and 24 different beaches to choose from Marbella has something for everyone. In Marbella you'll find an endless supply of world-class restaurants, luxury hotels, spectacular golf courses, fashionable shops, a lovely marina and a vast number of lively bars and clubs to keep you entertained till sunrise. 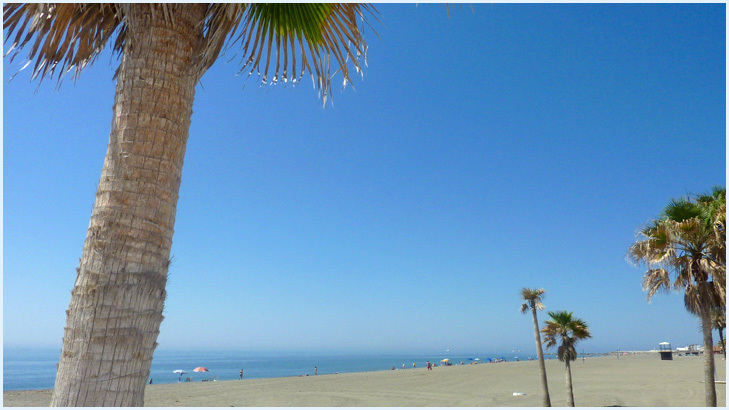 Estepona is a town located on the coast renowned for its beaches, which stretch along some 21 km of coastline. You can also find a modern sports marina with many tapas bars and restaurants and a white-walled town offering shopping and picturesque squares. Malaga is the capital city of the Costa del Sol. An estimated 6 million tourists flock each year to this wonderful sunny cosmopolitan city to explore the beautiful landscapes, remarkable architecture, great nightlife and fantastic seafood restaurants. The city is well-known for its sandy beaches but also for its rich history, additionally being the birthplace of the famous painter Pablo Picasso. The Picasso museum opened in 2003 and has been highly praised by those who appreciate exceptional culture. Gibraltar is an overseas territory of the UK and still the site of a large naval base. It lies between Spain and Africa and is easily accessed through Spain by car, although you need to bring your passport. There is a short ferry that takes you straight into Morocco where a wealth of shopping and culture awaits you. From the rock of Gibraltar you can go by cable car to the top and from here you can enjoy spectacular views, explore caves, tunnels, a Medieval castle and meet the notorious Barbary Apes. Tivoli World amusement park is the biggest amusement park on the Costa del Sol and offers both rides and a varied program of shows including Flamenco and Wild West shows. Selwo is a mix of nature park, safari and adventure park and is unique in Europe. This is the largest waterpark on the Costa del Sol and covers more than 70,000 square metres. La Quinta Golf & Country Club. The area surrounding Montevideo is haven for golf lovers! There are many international standard courses within easy reach such as La Quinta Golf, Los Arqueros Golf, Atalaya Golf, La Zagaleta, Los Naranjos, Las Brisas, Monte Mayor, Coto la Serena, El Paraiso, Aloha Golf, Guadalmina Club, Flamingos, La Dama de Noche, La Duqueasa and many more. Please see more detailed information under our golf section. Offers a wide range of outdoor sports and activities for individual holiday makers. Lagoland, their beautiful and quiet mountain lake center, only 10 mins from Marbella is the perfect place to practice fun activities such as quad biking, high ropes, jeep safaris, canoeing, kayaking, fishing or why not try out the new water sport: aquaskipping!